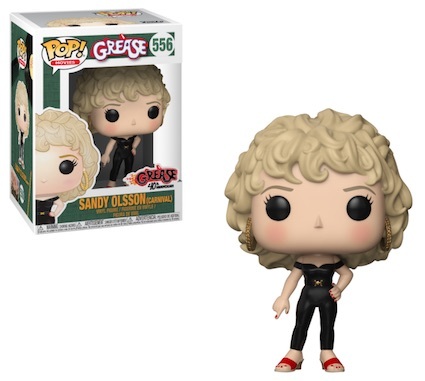 Four decades in the making, the Funko Pop Grease figures celebrate the 40th anniversary of the landmark movie Grease. The 1978 musical maintains a huge following, and made stars of the two lead characters. 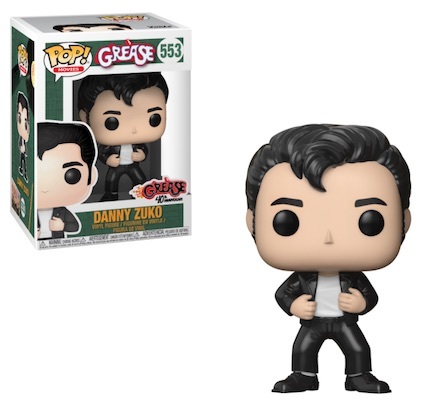 Naturally, the Funko Pop Grease options begin with Danny and Sandy, played by John Travolta and Olivia Newton-John. 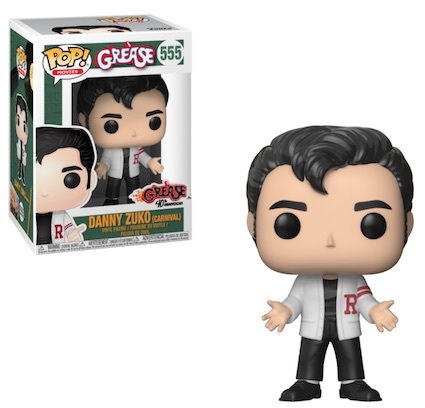 Versions for Danny Zuko include an all-black leather outfit with a white shirt, and a Carnival edition featuring a Rydell High School sweater. Likewise, Sandy Olsson comes in the all-black leather look, as well. Plus there is a conservative Sandra Dee, with pulled-back hair and a yellow dress. Completing the high school ensemble, she holds a book. 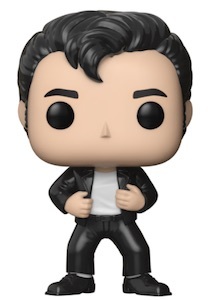 Shop Funko Grease Figures on Entertainment Earth. With a deep cast of characters, there are many other Pop! 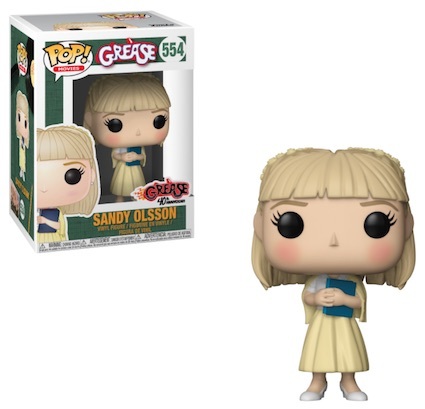 Movies options worth adding to the Funko Pop Grease lineup. 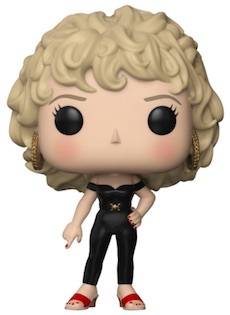 Fans and collectors would likely love to see a figure for Rizzo, Frenchy or Eugene, and maybe even a multi-pack set for the T-Birds and the Pink Ladies. Only time will tell. Funko Funday Freddy,s Pop SDCC 2018 Grease Dumber Blue. JAMIE DONNELLY "JAN" & KELLY WARD "PUTZIE" GREASE RARE AUTO PHOTO JSA COA ! LORENZO LAMAS "THE RYDELL HIGH JOCK" GREASE RARE AUTO PHOTO JSA COA ! RARE GREASE AUTOGRAPH PHOTO BARRY PEARL, MIKE TUCCI, KELLY WARD JSA COA !